Osseous surgery is used to reshape deformities and remove pockets in the alveolar bone surrounding the teeth. It is a common necessity in effective treatment of more advanced periodontal diseases.  The ultimate goal of osseous surgery is to reduce or eliminate the periodontal pockets that cause periodontal disease. Despite the word surgery the procedure is reported to feel more like a thorough cleaning. A local anesthetic will be used to numb the area prior to surgery. For patients having IV sedation, the sedation is administered prior to the local anesthetic. This ensures the patient the most comfort during the procedure. First, Dr. Vest will cut around each tooth of the affected area to release the gum tissue from the bone. This allows access to the bone and roots of the teeth. After the roots have been thoroughly cleaned through scaling, a drill and hand tools will be used to reshape the bone around the teeth as needed. Bone is removed in some areas to restore the normal rise and fall of the bone, but at a lower level. Bone grafting may also be necessary to fill in large defects.Bone grafting technique and products have advanced greatly over the years. It is amazing to note the amount of regeneration possible for our patients. Next, the gums will be placed back over the remaining bone and suture them in place. The site will also be covered with a bandage (periodontal pack) or dressing. Pain medicine and mouth rinses containing chlorhexidine may be prescribed following the surgery. Contributing to your overall health. Saving teeth from the risk of loss. Restoring your teeth to their former radiance. Making it easier to maintain dental health by brushing and flossing.